Lambchop is a band from Nashville, Tennessee. Lambchop is loosely associated with the alternative country genre, though its music resists easy classification.Never a band with a "core" lineup, Lambchop through the years has consisted of a large and fluid collective of musicians focused around its creative centre, frontman Kurt Wagner. Initially indebted to traditional country, the music has subsequently moved through a range of influences including post-rock, soul and lounge music.Whatever the style, the characteristic mood of Lambchop's music is evoked by Wagner's distinctive songwriting - lyrically subtle and ambiguous, the vocals melodic but understated. 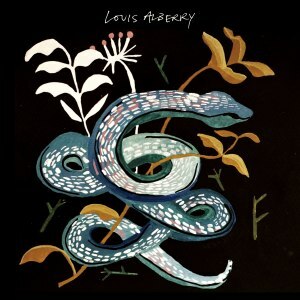 Setting this apart from other minimalist songwriters is the large group of backing musicians, with the range of instruments and styles that it brings. Wagner's songwriting bears similarities with soul musicians such as Barry White, Curtis Mayfield and Marvin Gaye as much as with country and folk music, and can be seen to embody Kris Kristofferson’s dictum that “country music is the white man’s soul”. 60 Watt Silver Lining is the second solo album by American Music Club singer/songwriter Mark Eitzel. A compilation of many songs he had written over his career, it is considered jazzier than most of his American Music Club efforts. The cult 1980s band Spacemen 3 pursued a vision of psychedelic trance-rock purity from the unlikely environs of Rugby, distilled to its essence in their 1988 single Revolution. Subsequently, Jason Pierce has attempted to swaddle the same source material in classic rock trappings with Spiritualized, while his former partner Sonic Boom, aka Peter Kember, has followed a more puritanical and commercially unsuccessful extrapolation of their key elements with EAR and Spectrum. 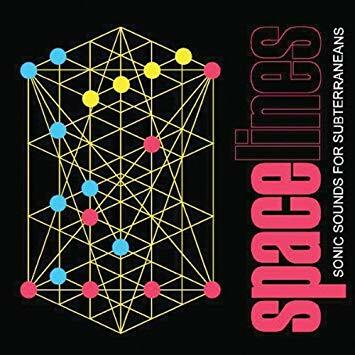 On the compilation Spacelines, Kember presents 23 tracks that display the sources of his aesthetic.The package comes with liner notes describing the selections and why they were so inspiring. For example, Kember says of The Staples Singers' tune "This May Be The Last Time," "This Gospel gem, I believe written by Bobby Womack, is obviously the root of the Stones hit from '65. Pop Staples remains for me the greatest unsung guitar player. Forget all the Afro '70s late stuff, go for all those classic pre-66 sides - Vee-jay stuff especially, and that "Great Day" Fantasy records release." Of The Cryin' Shames "Please Stay", he reminisces, "Joe Meek's last hit, and one of his saddest. Shortly before splattering his brains across his Holloway Road, London studio, he allegedly berated this poor singer into this performance. Whatever, it's stellar. I believe the Drifters had the USA hit, but for me the magic in this record is unequalled on any other version." It's a beautiful compilation containing some true gems.